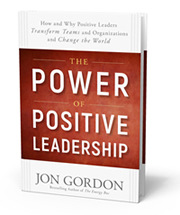 I'm excited to announce my newest book, The Power of Positive Leadership officially releases on April 24, 2017. You can pre-order now at Amazon or Barnes & Noble. Since I played lacrosse in college I encouraged my daughter to play as well. But in elementary school, it didn’t look like she had a future in lacrosse. While the rest of the kids were running up and down the field she would stand still, pick grass, and look up at the sky. It was honestly very frustrating to watch. In middle school she started to get into the action a little more and I saw signs of life. We would often throw the ball around together and work on her stick skills. I saw improvement in practice but when she would play in the games she was very tentative. I had to admit I wasn’t a very positive leader at the time and by pushing my expectations and frustrations on her, I almost caused her to quit playing. I was a classic transactional parent, where my identity was tied to her success. I read Joe Ehrmann’s book Inside Out Coaching, which is about being transformational instead of transactional, and it changed me as parent. I still played and practiced with my daughter to help her improve but this time I did so with encouragement instead of frustration. In ninth grade she made the high school varsity team and even started a few games, but was benched because she missed a few passes in key games. I continued to encourage her. We would practice her dodges in the backyard often and she really improved, but she was still tentative and never tried to dodge and score in the games. I started to tell her she was unstoppable all the time. I would say “You are unstoppable, Jade. They can’t stop you. Take it to the goal. You are unstoppable.” This was funny because at the time she was very stoppable. In the 10th grade she became a starter once again but was benched after not playing well one or two games. I knew she had it in her to be great but she wasn’t showing it. The old me would have yelled at her but the new me just encouraged her and kept telling her she was unstoppable. “Just take it to the cage and shoot, Jade. They can’t stop you. You are unstoppable.” I said it often and she would just smile. I kept hoping and praying she would realize her potential, unsure if it would ever happen. During her junior year I kept practicing with her and encouraging her and telling her she was unstoppable. And then finally she became unstoppable. She scored 80 goals that season, 8 in the district finals and 7 in the state semifinals, to help her team make it to the state finals. She was named an Academic All American and received offers to play lacrosse in college. It was so enjoyable to watch her play and rewarding to know that we did it the right way. I had to experience the power of positive leadership firsthand before I could write a book on it. From almost ruining my daughter, to becoming a positive leader who encouraged and believed in her, I know the difference it makes. What could your team accomplish at work or at home if they knew you truly believed in them? What could they achieve if they truly felt unstoppable? It’s amazing what people will accomplish when they know you believe in them. There’s a power associated with positive leadership and you can become one today! P.S. My daughter decided to go to Clemson, where she is a freshman, instead of playing lacrosse in college but I’m still encouraging her to be unstoppable as she pursues a career in sports broadcasting and digital media. 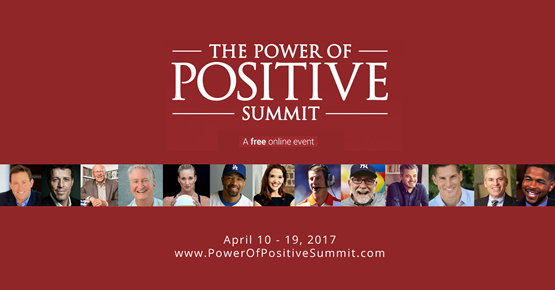 Join us for the 2017 Power of Positive Summit, a free online event featuring over 40 brilliant thought leaders and experts sharing strategies on how to stay positive, overcome challenges and make a greater difference in the world. Some of this years speakers include: Tony Robbins, Ken Blanchard, Coach Dabo Swinney, Patrick Lencioni, Andy Andrews, Kerri Walsh Jennings, Craig Groeschel, Dave Roberts, Sally Hogshead, Mark Batterson, Devon Franklin, Inky Johnson, Molly Fletcher, Ryan Holiday, Super Bowl champion Chris Hogan, All Pro running back Justin Forsett and many more!